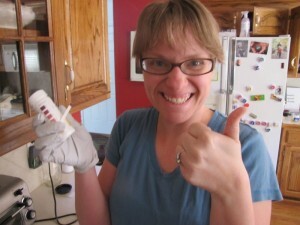 Several times a day we check Gabriel’s ketone levels. We do this to make sure he is in ketotisis. This the state at which the brain fuels itself with fat not carbs or sugars. His entire diet is based on keeping him in this state while giving him just enough calories to grow. Right now he is eating 4 meals of 263 calories each. We place cotton balls in his diaper to absorb the urine. 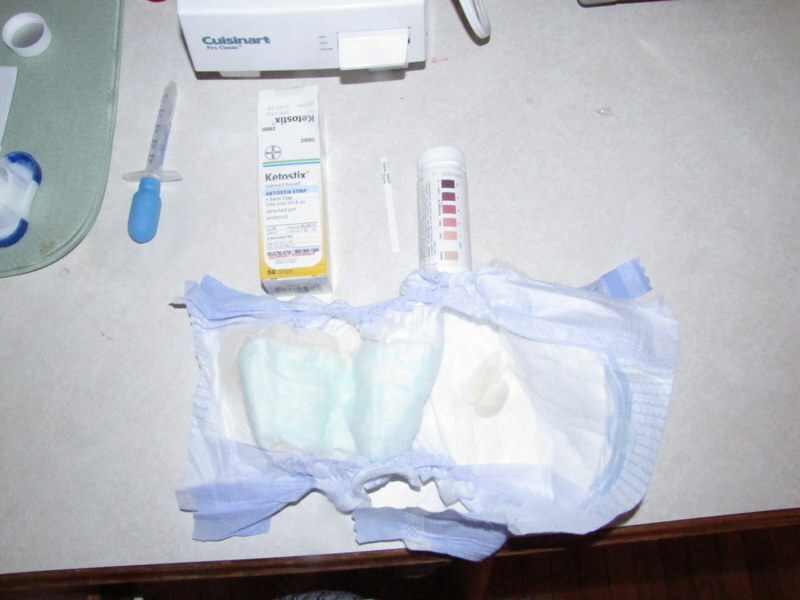 Then after he is gone potty we use a ketostix (small strip between box and bottle) to test the urine. We squeeze the cotton ball on the strip and hope for the darkest colors. 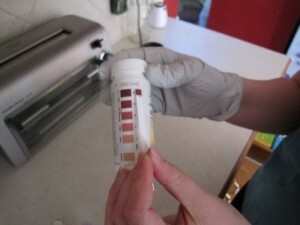 This means his ketones are “large”, where we want them to be. This is the test result we wanted. 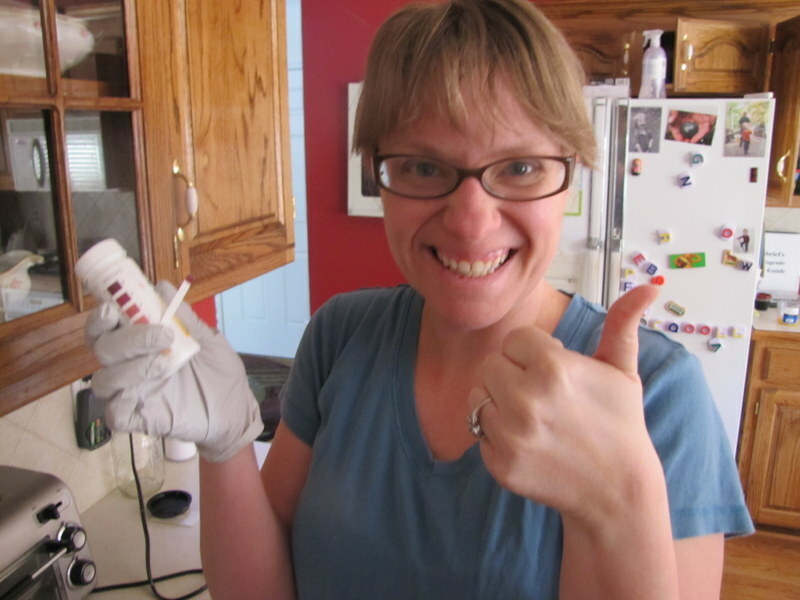 Until today we have had success with ketone levels. Gabriel had 2 sticks show moderate to large instead of large today. We are keeping a log of everything he is eating so we will watch tomorrow and see if tweaking things a little for the next couple days fixes this. He has had a couple seizures the last couple days, which is of course disappointing. We know this was to be expected. The nutritionist have reminded us we are aiming for seizure reduction with the diet. The more freedom from seizures the better. He had a really great day on Sunday, which is almost always an indicator that a seizure will come the next day. Super stupid huh? 🙂 Big sigh! The upside is that he seems to be recovering from the seizures faster. Previously, if he had a 4 minute seizure like he did today, he would have slept for about an hour then been pretty out of it for quite a while. Today he rested for a while, then took a nap,and then was ready to play a little. The most exciting for me was that he was able to speak clearly right away today.